I am so glad you are here and if this is your first time visiting DIY180, Welcome! I am thrilled you are here because I am apart of the "Bling on the Holidays" hop. 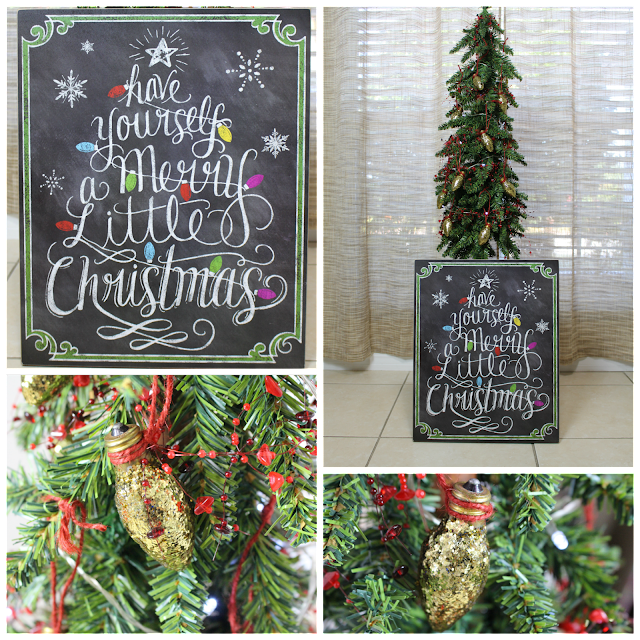 A group of faboulous bloggers have an amazing line up of Christmas inspiration for you to see. You are here at DIY180 and your next stop will be PS. I Love You Crafts. You will find the list of bloggers at the end of this post. We are having a great giveaway, so after visiting all of the projects, you are eligible to sign up for a drawing for a $150 Amazon Gift Card. Isn't this a great way to start your Christmas season? This year I want to make one of my smaller trees have a vintage feel. 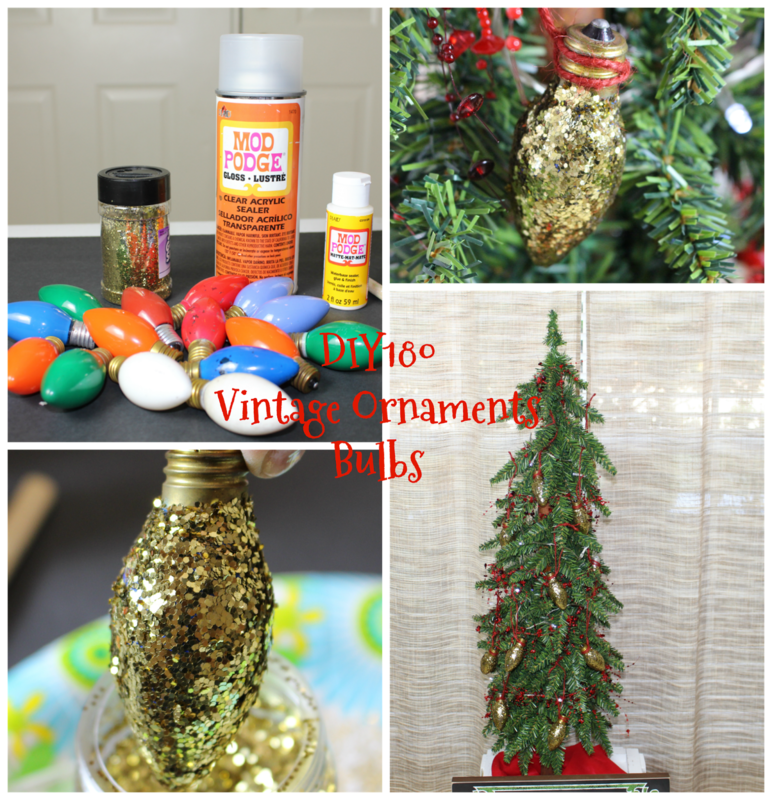 I have been in search for vintage ornaments and bulbs and I hit the jack pot when I found 40 vintage bulbs. I couldn't wait to incorpate them into my tree. Your going to love how easy this project is. This art work was my inspiration for my vintage Christmas tree. 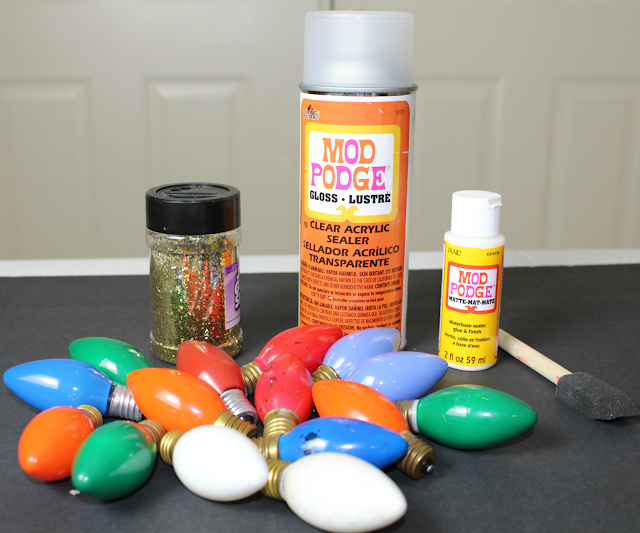 Taking the bulbs and apply a thick coat of Mod Podge. 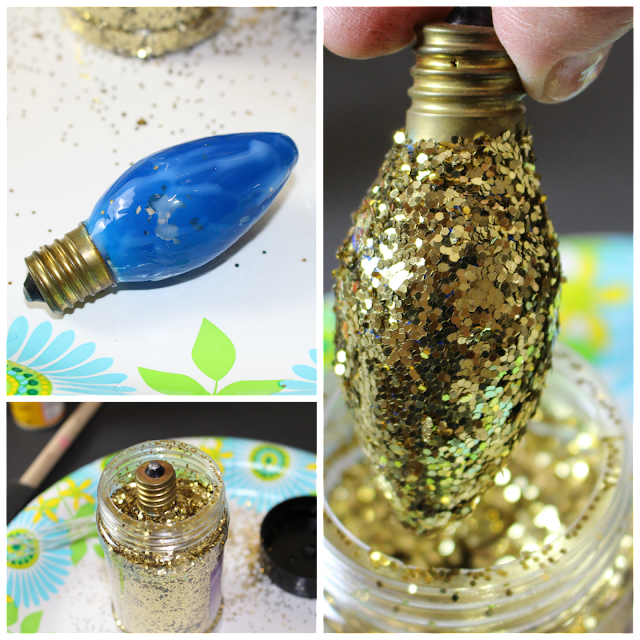 When the bulb is covered well, insert the bulb into the glitter. I let the bulbs sit for about an hour before I sprayed a light coat of Mod Podge sealent. Using red twine, I just hung my vintage bulbs on my tree. My vintage tree is not all done but it will be in the next couple of days. Remember just click on the list below to visit the other fabulous ladies in this hop than you are eligible to enter the $150 Amazon Gift Card drawing! Thank you for stopping by. We have a several glass bulb strings of lights and I've totally done this before. It's so easy and a great way to repurpose burnt out bulbs. I haven't thought about what to do with burnt out bulbs, but this is a great idea! My kids would have so much fun with this and we would be repurposing so it's a WIN-WIN! Wow! This is a great idea! Love how the glitter totally transforms them! I know I am as vintage as these lights are, but I love love love them. This is a great way to use them. Going to keep my eyes open for this style of bulbs. Great idea. Thank you for sharing. 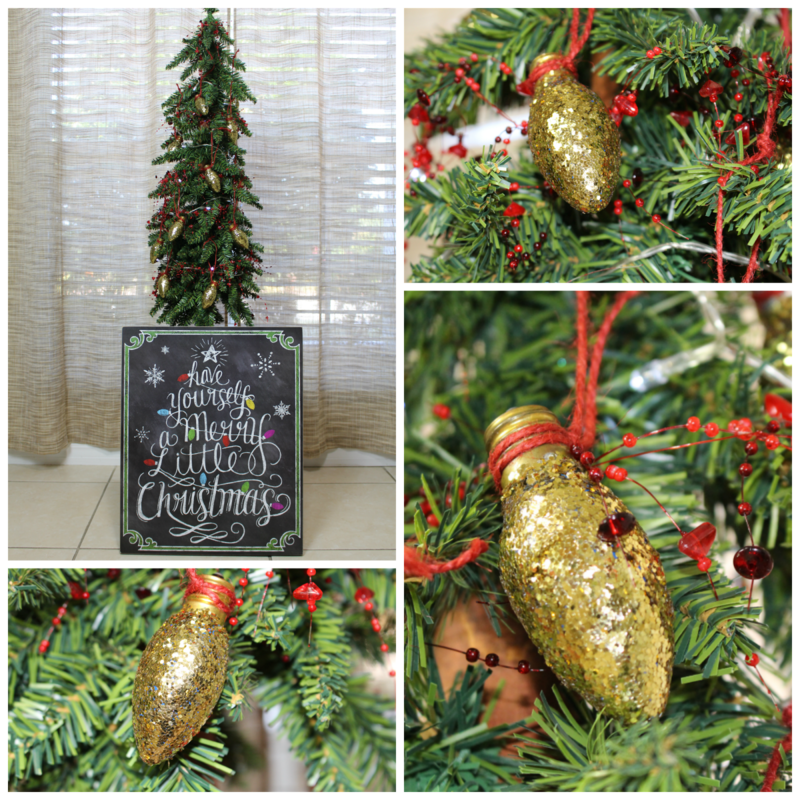 Yes, I love the glitter and tinsel, too What a nifty idea this is it came out so cute, I'd love to try it! Thanks for the Bling! Love all the ideas! These are gorgeous Vanessa! I love how they look on your tree. I have boxes of vintage bulbs that my mom gave to me, now I know what to do with them. I love this!! I had never thought to do this! I am totally making some! i love the use of the glitter! Great idea for those old burned out bulbs I have been saving! I think I am gonna do this. What a fun idea! Glitter is so useful. Fun and easy--this would be good to do with your kids and a good way to use old bulbs! I can't get enough of these glittered light bulbs! So cute. Clever. Great use for those old burned out bulbs. Love the sparkles! Those will catch the light so gorgeously, and it's a recycling craft too! Love. These are so pretty! I love that you could do all different colors too. I love glitter for Christmas! I love the glitter usage here. I love this ornament idea. thanks for sharing! Awesome! Does the sealant keep the glitter from going everywhere??? Love glitter crafts. I got some clear ornaments that I plan on doing something like this. I love the vintage bulb look. Very festive! The ornaments are pretty. I also like that little tree. I live in an apartment so space is premium. I love the glittery bulb idea. I really like how sophisticated the gold looks. What a great way to save the burned out bulbs from going into the trash. They look great! What a great way to re-use some non-working lights, instead of throwing them out! Cute and environmentally-friendly - love it! Love love love! I am a huge fan of the big, retro looking bulbs. What a fun idea! Love this! And such a good idea for old or burnt out bulbs! The glitter really adds to the charm. I love this crafty idea! I love the glitter on the bulbs. So fancy. These are so pretty, everything's better with glitter! Thats a lovely ornament. I like how it is personalized. It will be cherished! This is so smart! a perfect way to use those extra bulbs. What a great idea! I love the glitter! It really livens up the tree. Looks like a fun, pretty craft idea! I love the golden glitter bulbs. So festive! We just found a bunch of old christmas lights in my parent's attic. They're in the car ready to go to Goodwill. I think I'm going to steal a strand so I can take some of the bulbs out and make your super adorable glitter ornaments. Fun and pretty! Oh, those little bulbs bring back good memories! Glitter made them so glam! These must look so great at night when the tree lights bring them to life. There is something so fascinating to me about vintage trees & ornaments. I just appreciate the simplicity of the red twine you used with the bulbs. It looks great! I love this Christmas decoration and all of the sparkles. 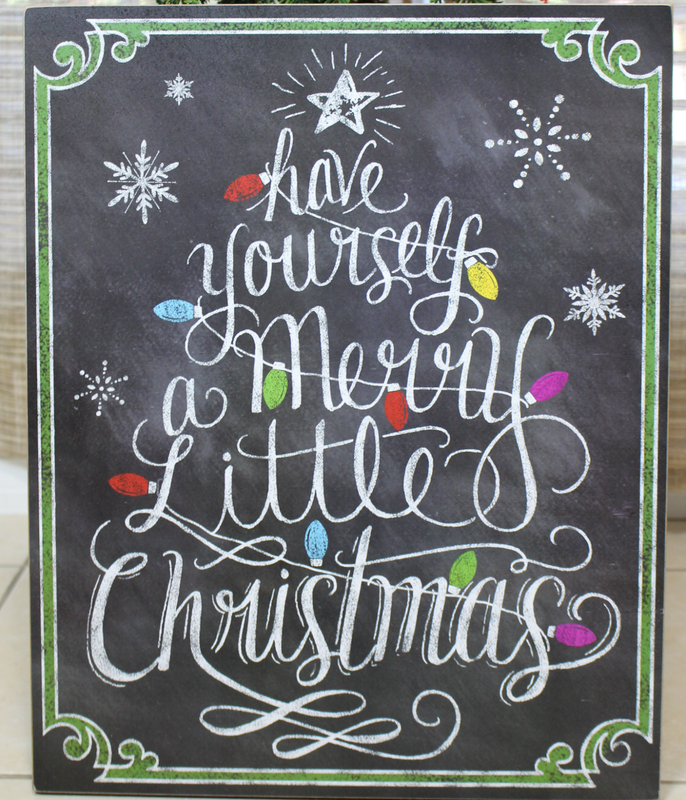 All of the bloggers involved in this giveaway have some amazing holiday crafts. I really love this easy to make decoration. thanks for the craft and giveaway! Christmas - It's a Wonderful Life Christmas!